In 2017 members of the ‘Sonic’ fan community managed to do what Sega themselves could not. 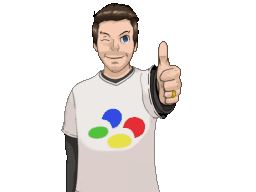 Lead by Christian "Taxman" Whitehead, bedroom coders and small independent developers (who had proved their worth with unofficial HD remakes) banded together. The result was ‘Sonic Mania’ a 2D side scroller that not only shamed twenty years of official games, but also stood toe-to-toe with the much loved original Mega Drive games. Series producer Takashi Iizuka described the project as being made "by the mania, for the mania", explaining that the title came from the developers being "maniacal" about the series. It was labelled a "passion product" born out of the fans' love for the early ‘Sonic’ games. While this game lingers in the memory, it’s obviously not the only time when fans of a series have made tribute games. What’s more unusual is that this game has been legitimised by Sega. Typically, fan coders are sent threatening “cease and desist” letters by copyright holders but ‘Sonic Mania’ was officially endorsed. It was given the thumbs up by the original creators of the ‘Sonic’ games it so lovingly took inspiration from. There are few series as well known as ‘Sonic the Hedgehog’, bit if retro gamers were to name beloved legacy franchises ‘The Legend of Zelda’ would sit atop many a list. When it comes to the minds behind the series, Shigeru Miyamoto will always be mentioned first but the reality is that since the transition to 3D, series producer Eiji Aonuma has probably been of greater significance. He has worked as director or producer on every major release since ‘The Legend of Zelda: Ocarina of Time’ but like the ‘Sonic’ fan-community he had to prove his appreciation for the series before he was given the keys to the ‘Zelda’ kingdom. Talking to Spike magazine, Eiji Aonuma struggled to hide his love for ‘The Legend of Zelda - A link to the Past’. “This game was the first game that made me want to make games” he admits. 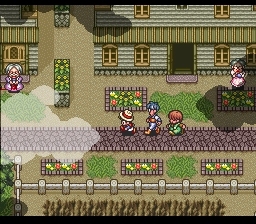 While most fans of this classic game would cite the story, the dungeon design or maybe the music as their favourite part, Aonuma was bewitched by an often unnoticed minor detail; gardening. “Something I actually thought was special about this game was that you could use your sword to cut grass, and cut shrubs up. Because it's not really part of the game, necessarily, but it's something that you can do in the game - it's something that's possible. It's a way that you can affect the game world, because if you cut the grass, it stays cut, at least for a little while. That's the first thing that made me realize that games can do that. You can have that sort of thing in a game, and that's kind of when I felt like I really wanted to make a game. The game I made after that was called ‘Marvelous ‘, which actually never came out in North America”. Production of ‘Marvelous’ actually started out using the ‘Link to the Past’ game engine. “Our main programmer was a member of the ‘Zelda’ design team” acknowledges Aonuma. “We actually started out using their library then changed the characters and system as we went along. That’s probably the reason that the style of the action and the atmosphere of the world got carried over from ‘Zelda’”. When ‘Zelda’ creator Shigeru Miyamoto saw Aonuma’s directorial debut he knew exactly what had inspired the game. The player’s perspective matches ‘A Link to the Past’, the two games share sound effects, the ‘Marvelous’ characters spites look like ‘Zelda’ NPCs and the world they inhabit mirrors Hyrule. According to Aonuma “Mr. Miyamoto actually saw that game and he was like, 'If you really want to make a ‘Zelda’ game that bad, why don’t you just actually make a Zelda game.' And that's what led me to work on ‘Ocarina of Time’”. Before he became lead designer on the game that many consider one of the finest of all time, Eiji Aonuma worked as a Nintendo graphic designer answering directly to Shigeru Miyamoto. However According to Retro Gamer magazine Aonuma was not a natural born gamer. "I never played a game when I was young. When I landed a job in Nintendo, I asked my girlfriend at that time, “What is a TV game?” and she lent me 'Dragon Quest'". "I stayed up all night to play it and she kept by my side the whole time, coaching me like, “you need to go south five steps” and “now go to the east four steps”. 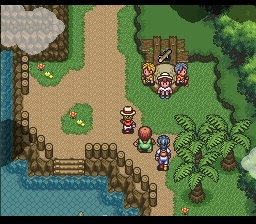 Clearly this baptism by RPG influenced Aonuma throughout his career. Despite believing that he can't draw or colour, Aonuma's sprites for many Nes and Snes games seemed to impress. After less that five years at the company he started directing his first game 'Marvelous: Mouhitotsu no Takarajim', which translates as 'Marvelous: Another Treasure Island'. Naturally, it’s a Role Playing Game. Originally conceived as a Snes CD ROM game, ‘Marvelous’ follows the adventures of a group of three young boys. Dion, the leader is a scallywag with a heart of gold. Jack is the brains of the group, while Max is the Brawn. the trio are camping on a mysterious island that's said to be the location of the hidden pirate treasure know as “Marvelous". 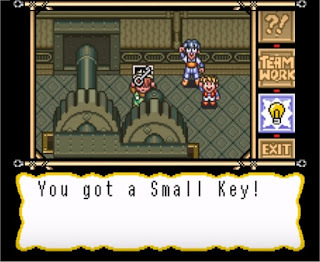 According to video game critic Bob Mackey, “the thin story presented by ‘Marvelous’ merely acts as an excuse to throw these characters into bizarre and hilarious situations.” Indeed by the game’s conclusion, if you fail to read a specific text box there’s a good chance you’ll finish without knowing exactly what the fabled treasure is. While it's easy to draw clear similarities between 'Marvelous' and the ‘Zelda’ series there are distinct differences. Aonuma actually wanted to avoid comparisons and disguise the ‘Link to the Past’ foundations upon which ‘Marvelous’ has been built. “The last thing our team wanted to hear was that the game we were making was just like ‘Zelda’ so we did our best to differentiate it” Aonuma claimed at the time. 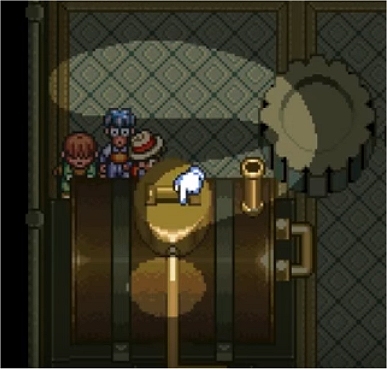 This is perhaps why plot is secondary to disconnected comedic scenes and why the game focuses on puzzles rather than action. One of Aonuma's principle jobs on 'Ocarina of Time' was dungeon design. When playing ‘Marvelous’ this will come as little surprise. His first game is perhaps best described as the unlikely fusion of 'The Legend of Zelda' and 'The Lost Vikings' influenced by Point and Click adventure games. It’s reminiscent of ‘The Cave’ a 2013 adventure game from ‘Monkey Island’ and ‘Maniac Mansion’ creator Ron Gilbert. Like the Point and Click games that inspired it, ‘Marvelous’ demands that the player investigate their surroundings by moving a cursor around the screen. Examining objects even takes you to a more detailed first-person view which allows for visual novel style conversations with characters. From this perspective you can also use items and make use of combined team work to proceed. For console gamers, the pointing and clicking has been streamlined, and thankfully the problems that plague the genre have largely been eradicated. “Inventory management in ‘Marvelous’ really isn't a thing” critic Mackey notes. 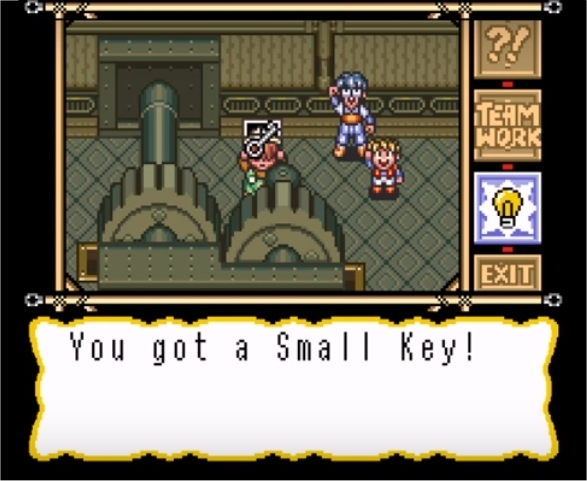 “any item players receive immediately goes to the character that can make the best use of it.” In practice this means the player gets to enjoying figuring out the puzzles without the worry of having to think about complicated game mechanics to achieve this. Like most Point and Click style games, you’ll meet a character or come across a problem that requires a specific item. 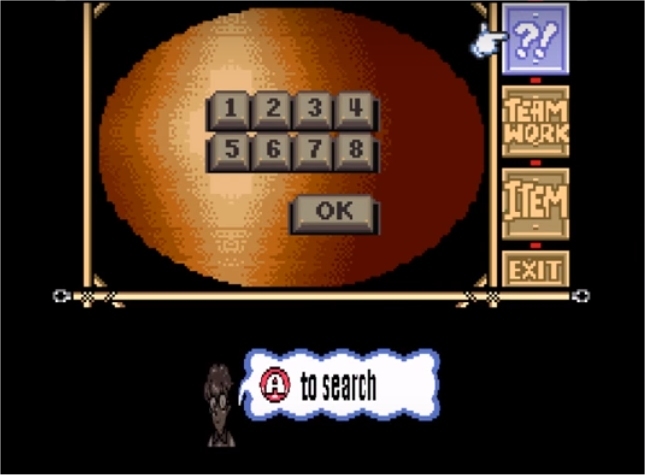 You’ll then have to find that item and acquire it, typically by solving another puzzle. For example in the first chapter you need a log and some children will only stop blocking access to it when they get fish from a nearby lake. To catch the fish you’ll need a fishing hook, but getting one is naturally convoluted. First you’ll have to beat someone in a game of soccer and to compete you need soccer shoes. To get the shoes you’ll have to dive underwater and to do this you’ll have to own swimming goggles. These can be won through a test of strength which is essentially button bashing. When the hook is won you’ll then have to return to the pond and catch three fish using an elaborate combination of button presses that in many ways mirrors the fishing mini game in ‘Ocarina of Time’. Like ‘The Secret of Monkey Island’, ‘Marvelous’ is a game based on finding the exact metaphorical keys to unlock a specific metaphorical lock. Usually the item required will be within a few screens and like LucasArts adventures games it seems to be impossible to get completely stuck. Never will ‘Marvelous’ demand an item that was only accessible earlier in the game and never are you punished for trying the wrong item. Having said that, you do have to adopt the same mindset as the designers and there’s always only one way to solve a puzzle. You can’t, for example, hit a fish with a shoe to give to the children to gain the log. There's (initially at least) minimal conflict in ‘Marvelous’. In fact until one character picks up a baseball bat the group are largely defence less. However action elements do seep into the game, specifically to provide variety. According to Aonuma “if the game were limited to puzzle-solving, you’d be stuck doing the same thing over and over again. That’s why we put some action elements into the game, to keep switching up what the player had to do.” The problem with ‘Marvelous’ is that the action sections almost feel like an afterthought, an addition to please some higher level of management. I found it wasn’t the puzzles that prevented progression it was the erratic difficulty and insurmountable bosses that were far harder than they should have been. It’s a short coming of the game that Aonuma has subsequently acknowledged. “There may have been some areas where [the challenge] weren’t as finely-tuned as it could have been [...] For the most part, the programmers programmed the game to be really difficult. There was countless times where I’d test something out and ask them to tone it down due to the difficulty”. Critic Bob Mackey also seems to share my opinion that ‘Marvelous’ is at its best when it tests the strength of your brain rather than the speed of your fingers. “The last chapter in ‘Marvelous’ replaces the game's personality-laden puzzles with a fairly straightforward dungeon that would feel right at home in ‘A Link tothe Past’. Said dungeon also features a mandatory sliding tile puzzle, a game design crime that should be punishable by death“. It’s not the only game shortcoming though, as sadly ‘Marvelous’ is full of slightly irritating faults that don’t ruin the experience but do make it slightly annoying. 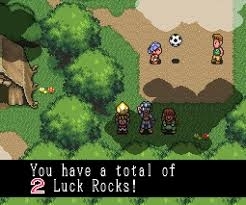 Like ‘Secret of Mana’ non controlled party members have a habit of getting stuck behind rocks. While you can press a button and gather your team together, this only works if they’re all on the same screen and able to move in a straight line to your lead character. Frequently throughout the ten hour game I found myself back tracking simply to round up the stragglers. Clearly knowing the origins of the game, I do appreciate that Burgess has tried to preserve the ‘Zelda’ DNA in his translation patch. “I spent a little time modifying [‘The Legend of Zelda : A Link to the Past’s] font so that the font is familiar yet distinct”. But it’s not just the Japanese text that’s changed, graphics have been Westernised with even a new elaborate title screen. The “ROM hacking” process to do this is complicated and time consuming. As Burgess notes, “this isn't the type of hacking you've seen in the movies. People who hack games aren't interested in infiltrating networks or stealing personal information. We certainly don't do it as fast as the people in the movies!” Daniel Burgess has even made a YouTube video to show how the Japanese graphics get reworked. It’s an hour long video and in it, one on-screen graphic text box is translated. This certainly shows the effort required, explaining why he devoted all his spare time for a year just to finish what Tashi has started. It was time well spent. In fact the translation patch has been so lovingly and professionally done it’s hard to believe that this version of ‘Marvelous’ was never an official English language release. Of course the reason for the game's lack of Western release is likely due to the Nintendo new N64's release. 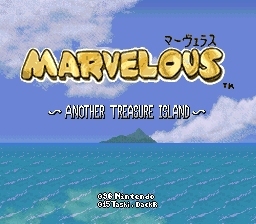 ‘Marvelous: Another Treasure Island’ was in development for a long time, according to Ozaki the game took over three years to make. It eventually was published in 1996, but this was after the Nintendo 64 had already been released. Engadget claim “the company had shifted nearly all of its efforts to launching the Nintendo 64, which led to anticipated games like the fully completed ‘Star Fox 2’ to get the axe.” As a result a full translation of ‘Marvelous’ for a release abroad on a dying Super Nintendo would have been an unwise move. With that said, the game was featured in Nintendo Power magazine with four pages of coverage. This could indicate that plans were made for the game to be taken overseas. There are even clues that Nintendo have at times returned to the series. 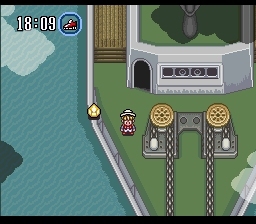 ‘Navi Trackers’ is a mini game available in the Japanese release of ‘Zelda: Four Swords Adventures’. In it, players compete to collect stamps before their opponents. Unused data within this segment of the game reveals character icons for Dion and unused renders for other ‘Marvelous’ treasure hunters. However, by the games release all traces of ‘Marvelous’ are hidden from view. Aonuma is now somewhat preoccupied with adventures in Hyrule so it’s unlikely that a twenty year old unknown Snes game will ever see a true follow up, especially outside of Japan. While the fan community who expertly crafted ‘Sonic Mania’ are delighted to be favourably compared to the works that influenced them, this doesn’t seem to be enough for Aonuma. ‘The Legend of Zelda - A Link to thePast’ may have inspired him but his end goal seems to be to surpass the series’ creator. He aims to be better regarded than the man many consider a genius and a pioneer of video games. "I heard there are people overseas who worship Mr. Miyamoto like God, but I’m not like that" Aonuma once said to Square Enix producer Jin Fujisawa. "I think that Mr. Miyamoto is a great man, but someday I want to surpass him!" As technology evolves it’s difficult to say if ‘Breath of the Wild’ is a better game than ‘The Legend of Zelda’ they are both certainly revolutionary. As his career continues Aonuma may be celebrated in the ways that Miyamoto has, we may not even have seen his finest work yet. But one thing is certain. ‘Marvelous’ was clearly an incredible first step in the adventure, and it’s a shame it’s never reached the audience it should have. ‘Marvelous’ has been on my radar, ever since a Twitter follower suggested I’d like it. However, it’s not often listed on eBay on open auction. While Buy It Now purchases can be a way to get a bargain, more often than not they show a seller’s greed. As a general rule, buyers should dictate the market value not sellers. So I bided my time and waited to get ‘Marvelous’. Swooping down on an auction that ended in the middle of the night, I managed to get the game for a fraction of its normal Buy It Now price. So I either got a bargain, or proved that sellers have greatly over estimated what the game is worth.